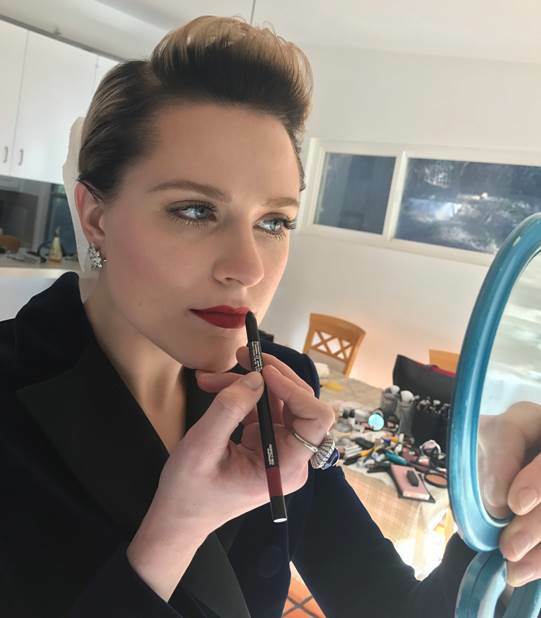 Toby Fleischman for IT Cosmetics did the cosmetics honors for Evan Rachel Wood’s SAGs appearance last night. “One of the many things I love about Evan is she always likes to keep them guessing. 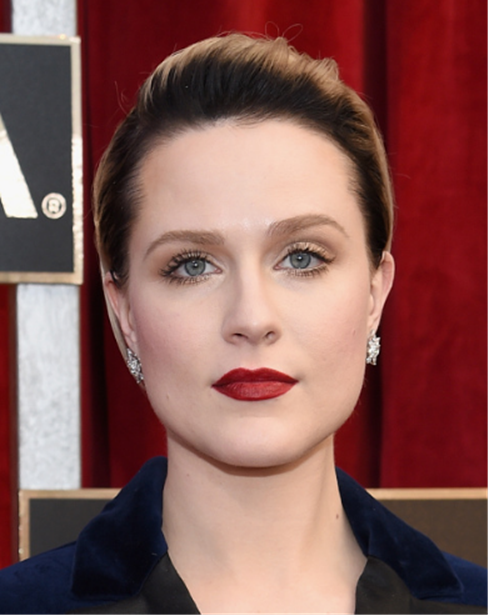 So for our SAG awards look, she wanted to compliment the incredible blue velvet Altuzarra suit with a really feminine beauty look which is something we haven’t done in a while. In fact, our reference point for the day was a “Snow White fairy tale.” We kept the focus on her gorgeous porcelain complexion and created a soft, gold “doll eye.” It was the perfect complement for a bold lip. I have been using IT Cosmetics CC+ Cream on Evan religiously now for a while, but I’m really loving the newConfidence In A Compact Skin-Transforming Full Coverage. The Solid Super Serum in Light is amazing on her skin. The Brow Power Super Skinny Brow Pencil in Universal Gray has been a game changer for me, especially with Evan’s cool hair color these days. It’s the perfect ashy grey color that makes her brows look really natural. For that doll-baby eye, I prepped the eyelid with Bye Bye Under Eye Illumination Concealer. I smudged Mocha & Warmth from the Naturally Pretty Palette into her crease and under the eye and then layered on top the gorgeous gold “Unstoppable” color from the Superhero Palette. I popped the Transforming Pearl shimmer color from the same palette in the corner of the eye and under the brow bone. I always tend to mix a few blushes together for a custom shade and on Evan’s cheeks today is Ombré Radiance Blush in Je Ne Sais Quoi and Vitality Cheek Flush in Magical in Mauve. ← Motivate Monday, Because You Are Unstoppable!